There is magic in the little things of life. There is magic strewn all around us. There is magic in smiles and magic in tears of joy. There is magic in health and in miracles. There is magic scattered everywhere. All one needs to do is to look hard enough and find it. July 17,2016 was one such magical day at SRMS IMS. A young would-be teen was brought to the hospital with a case of Atypical Guillain-Barre Syndrome (GBS) with a grim possibility of easy and early recovery. 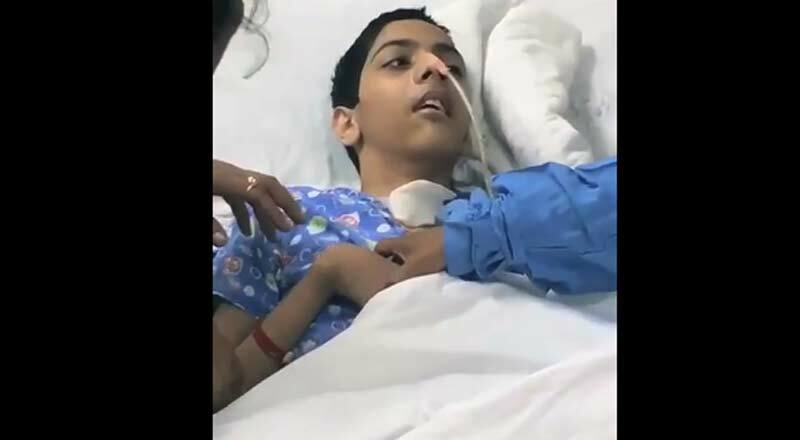 He was immediately taken to the Pediatric Intensive Care Unit started on Standard International Protocol for the management of GBS but after 2 weeks his attendants took him to Delhi with the hope of more advanced care. Pediatricians of the Capital city advised the child to be moved to “home ventilators” and he was brought back to SRMS IMS once again. And by then, the child had Zero grade muscle power in all his four limbs as well as respiratory tractmuscles. He had also developed grade 4 bedsores. Without the support of ventilation, there was no hope to have him breathe. The situation was abysmal. However, doctors and nurses at SRMS IMS did not give up. The child’s family started losing hope and with each passing day, the number of visitors in his room started declining. He went on fighting his battle amidst science and miracles. There were days he would respond to treatment and days, he wouldn’t. But the SRMS IMS family did not lose hope for a single day. Every day was a fight and every day was a win- small by nature but big for us. We took it entirely upon us to help him come out of the pains (disability of per muscle power)of GBS and by December 2016, we could make him breathe without the necessity of ventilators. Even though he cannot speak or share his state of mind, he is now able to breathe and is fully conscious. He knows his caretakers very well and responds to them beautifully and SRMS IMS is about to celebrate his birthday with the welcoming signs of his early adolescence, the signs of moustache – this 17th July; the day he was brought to the hospital for the first time. “It is still magic even if you know how it is done;” and if this is not magic, what it is! Who says sickness just needs medicines; it’s the immense hope , the boundless energy to come back everyday to the one’s who are not responding, the confidence to never say give up till the last breath and to keep on believing in yourself when no one else does is what is really magical.